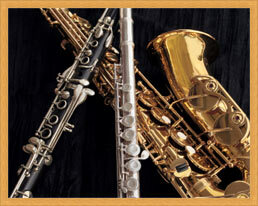 Specializing in woodwind repair for the South Suburban areas of Chicago, Illinois. Cannonball Big Bell "Stone Series”, Serial #141***. Close to new condition. "Raven” model with Iced Black nickel body, polished black nickel keys, bell flare, and guards, with stones on all key touches. Laser engraving on guards and bell. It has two necks: black nickel: satin silver plate. *All are wood, and have had a repad/mechanical overhaul with triple-skin premium pads.